Your employer has a duty to protect you. 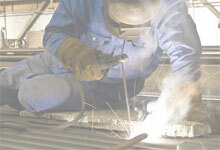 As an employee your safety, health and general welfare at work are protected by law. 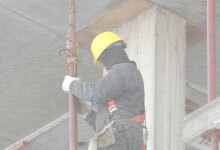 Workplace health and safety regulations place statutory duties on your employer. 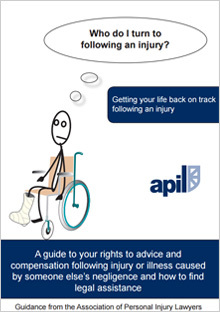 Make sure you have recorded the incident within your employer’s accident book. There may be witnesses and you may wish to obtain photographs of the accident scene. Make an appointment to see your GP or visit the hospital, providing a full history of how you sustained your injury. If you are a member of a trade union, give your union a call and you will be offered support, and advice, and be referred to a union solicitor, free of charge. Ask your employer for support with your recovery. Many businesses are able to offer care and medical treatment via their individual occupational schemes. Inform the Health and Safety Executive of the incident. All employers must comply with strict statutory rules relating to health and safety in the workplace. Your employer will be insured and when your claim is notified, the insurance company will deal with it. WE ALL HAVE A DUTY TO ACT SENSIBLY WHEN AT WORK AND DEALING WITH OTHERS AND EVERYONE HAS A RIGHT TO GO TO WORK AND COME HOME AGAIN UNHARMED.